Today’s post is a follow-up to A Goal of Love posted on Saturday, March 2nd which was about a hockey player taking time out of his day to be kind to a young fan. The goaltender was more than kind; he epitomized everything in this banner. 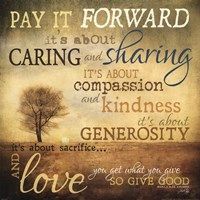 How often does something wonderful happen to us and we think we should pay it forward but something blocks our action to follow through. Perhaps we need reminding of this simple little gesture of good will by keeping these words at the forefront of our lives. A couple of weeks ago I received a batch of precious photos in my inbox and I am going to share them in the week ahead with anyone who could use a little love potion. This first one talks to me about how we all need someone to walk the walk with us. Enjoy. When we truly want to know the meaning of something, whether a thought, a word, a conversation, a scripture, or even the meaning of life, it is good to reflect and consider the resulting enlightenment. 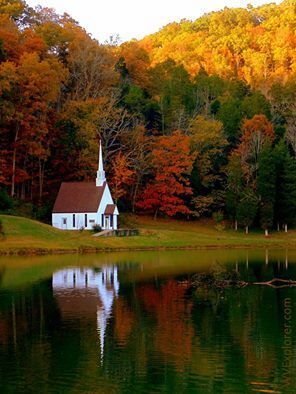 As in the scripture below, with reflection comes insight. A social event on Friday gave me cause for reflection, and the insight that followed will be shared with someone as this day unfolds. Happy Sunday. Can a Leopard Share Its Spots? One of my granddaughters loves anything leopard print so whenever I see something that even resembles this pattern I immediately think of her. While lunching with a friend yesterday a woman wearing a dress made in this print walked by our table. I jokingly said to my friend, “You hold her down and I’ll take the dress.” My granddaughter would have loved it for sure. However, we were content to tell the lady how much we admired her outfit. Needless to say when this photo came my way I had to post it in the hopes that it will catch my granddaughter’s eye. But, it does pose the question, can a leopard share its spots? 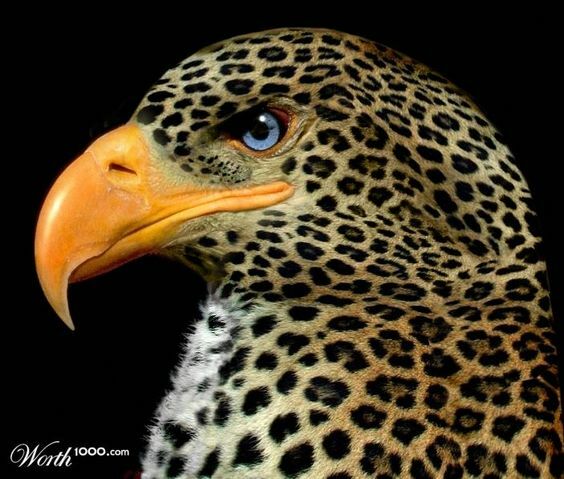 And what would you call this guy…a leopbird? Yesterday we shared the grief of the residents of Humboldt and surrounding areas. People around the world have poured out their support in many various ways and continue to do so. 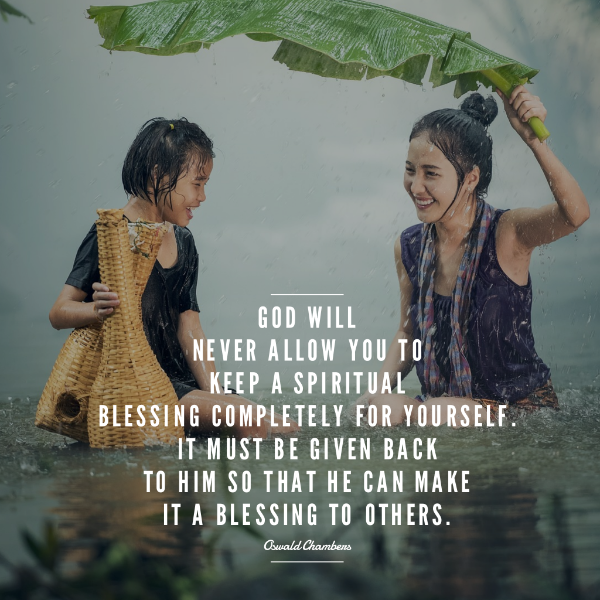 Likewise, there are many ways of sharing our spiritual blessings and I believe my blog and my book, both titled My Precious Life, are the ways God has provided me with this kind of sharing. I don’t know about you, but I appreciate the ways people share their blessings with me and I’m thankful to all of you who do so.